This is a pattern for a modular knitted baby blanket. It is constructed out of garter stitch triangles running in different directions. The modular construction makes it an ideal project to use up some left overs or to try some of those yarns where you only ever bought a couple of skeins in the first place. There’s four different yarns in there but since they are all round about the same yardage they work well together. 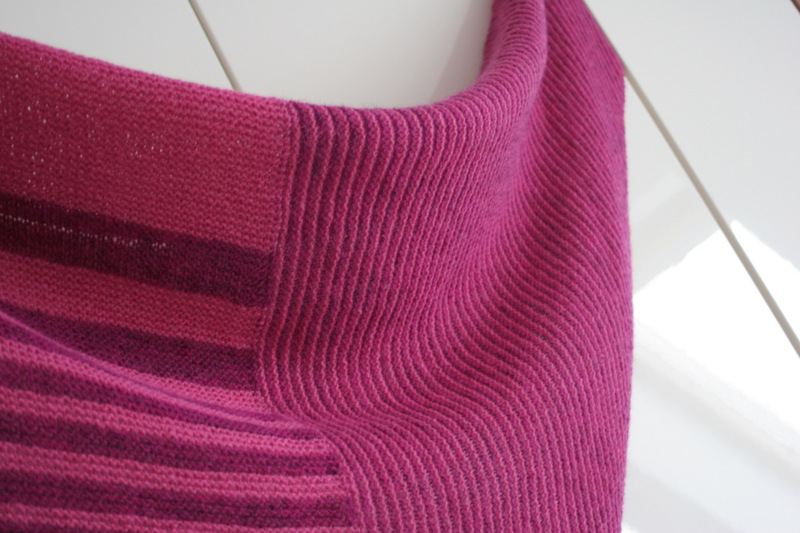 Trigonometry ist eine kuschelige kleine Babydecke, die modular gestrickt ist und aus kraus rechts gestrickten Dreiecken besteht, welche in verschieden Richtungen laufen. Durch die modulare Konstruktion macht es sich super um Restknäuel aufzubrauchen oder um mal diese Garne zum Einsatz zu bringen, von denen man „nur mal so zum Testen“ mal zwei, drei mitgenommen hat. Im oben gezeigten Bild kamen 4 verschiedene Garne zum Einsatz, die durch die sehr ähnlichen Lauflängen jedoch prima zusammen funktionieren. The cool thing about this pattern is, that it does not need to be a baby blanket at all. It also works great as a shawl. 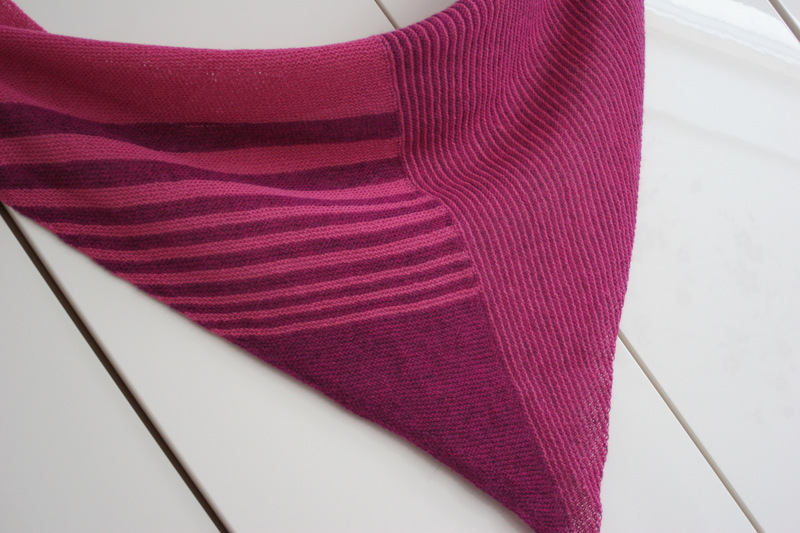 You can stop after any of the 3 parts and will end up with either a triangular shawl or a square one. Both yarns knit up very similar and go well together. They would probably work out well in a color work project, too. At first they might seem a bit on the rough and scratchy side but after washing and some wear they develop this characteristic halo and turn into a cozy affair. 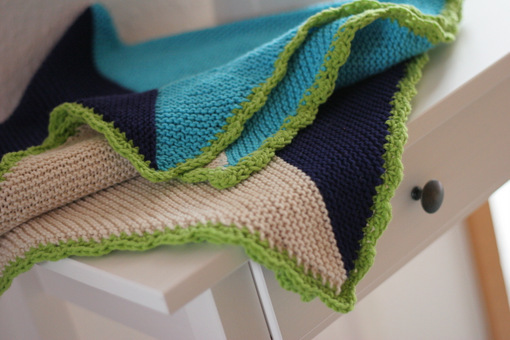 The baby blanket version uses cotton-blend worsted weight yarns from different brands. The yardage varies between 120 and 130 meters per 50 grams. Calculate some extra yarn if you wish to add a crochet border.